how not to write poetry!! Thread: how not to write poetry!! what are according to you the dos or don'ts of poetry composition? DON'T treat poetry techniques as politics, thinking you have to choose a side and stick to it dogmatically. Different compositions require different techniques, and to rule any out any a priori is no different than a carpenter removing potentially useful tools from his toolbox. DON'T think that originality comes from being ignorant of other poetry. The reverse is true; originality comes from extensive reading and study and knowing what's been done and knowing how you can do it better. DON'T think any subject matter can make up for a lack of technical competence, intelligence, and sophistication. DON'T read poetry uncritically, including your own. Learn to be conscious of what works and what doesn't, and learn to trust your own feelings on the matter. DON'T treat tradition with either awed reverence or apathetic repugnance, either on your knees at an altar or at the doors with a torch. To become a part of a new tradition one has to grapple with the old, and either polarized attitude isn't grappling. Do think carefully about every syllable. Take your time - poetry should not be rushed. Do read other poetry extensively - Morph is absolutely on the money on that score. Do go back and extensively edit and re-write bits of poetry - it is quite rare for poetry to be 'right' first time. Do share your poetry with critical friends - somebody else is usually a better judge of your own poetry than you are. Don't simply write down the first thing that comes to mind and pass it off as 'free verse' - shallow thoughts lead to shallow poetry, and it's often painfully obvious to any audience. Those are probably my main guidelines for writing poetry. Like any artistic endeavour, it's necessary to gain the skills related to technique and expression - and that means, above all, that you should practice often! nothing on lengths I see. what would you say is a correct length for poetry? about writing something on a whim and calling it 'free verse'. why not? risk free poetry is no longer poetry. instinct does have a role. I am not too sure still what the meaning of free verse is. I don't think there is such a thing. I've seen interesting poems only a few lines/words longs, and I've seen masterpieces of ~20,000 lines and several hundred pages. I like the theory, though, that the perfect length of anything is when nothing more can be taken away without harming the intended affect/structure. Paradise Lost, as long as it is, is very precisely structured, and probably couldn't do with any editing without harming its integrity; but you could also say the same for Keats' Great Odes (especially To Autumn at only 36 lines, IIRC). talking of Ode i think there comes a point where i can't tell whether it is a short story or just a speech delivered. i am wondering what the pure definition of poetry which should include minimum/maximum length. Because, as I said, shallow thoughts lead to equally shallow poetry. Unless someone is the sort of blessed creative genius who emerges perhaps once in a generation, almost anything that comes off the top of a person's head will not have been developed in any meaningful way. Which is better? Caravaggio was indisputably a great artistic genius, one of the finest painters of his age, and yet even for all his talent he could not have produced a masterpiece 'off the top of his head'. All the time that went into the refinement of his subject, his choice of symbols and allegories, his use of lighting, technique and flawless sense of poise and balance - layer upon layer, building into a superb masterpiece. Any cretin can draw a stickman in thirty seconds, or 'compose' a 'poem' of devoid of meaning and sense, but very few can match Caravaggio, even if given the same amount of time to work as he. Even improv musicians, who seem to let forth brilliant music on the spot and without preparation, are composing their music based on deeply ingrained patterns of sound built up through years of careful study and practice. Whilst it is possible to have the same facility for poetry, it is exceedingly rare. As for the other question about length, it's like asking 'how long is a piece of string?' The answer is that a poem should be as long as it needs to be, whether that means four lines or four hundred. No doubt. That is the way it works for value. Or it works for nothing. Excellent post. This is a question very close to Chinese literature, since the bulk of Chinese literary history required improvisational poems written on an occasion during the occasion. In Japan such works are also common, and in both countries there were traditional activities of one person writing a line, and then the next person matching it for a couplet, or for a tanka, or whatever. The fact of the matter is, these instantaneous poems are often some of the best poems in the language. The art of anybody is a collection of experiences and understandings brought into a single moment. Tennyson's Charge of the Light Brigade was supposedly written in a matter of seconds, and it still managed to amaze with its impeccable use of the metrics at its craftsman's hand. Frost's On Stopping by Woods on a Snowy Evening was supposedly also written in one go. Each author is different, and each poem is different. Yeats wrote at 2 lines a day, and came out with gold, other authors wrote gold much faster, and still others wrote inconsistently. The chinese poet Li Bai (Li Po, Li Bo) wrote supposedly off the top of his head the majority of his works, and he is quite good. It depends on the situation and background, as well as the medium of the artist at hand. Interesting choice of comparisons. I would say the first one is very useful to have nonetheless. nothing is wasted no matter what the outcome is. the second one of course that is a masterpiece done by a master dedicated to nothing but that and therefore its value is timeless. poetry however should be flexible because we are not all masters and therefore we must learn to content with what we produce and make. light long dense even or uneven whichever way, appreciation is about a mix of all sorts. the outcome visual is as important the everything in between. expression is a variety of skills and ideas and that is what makes art a venue explored by all not just the gifted and talented. i enjoy unfussy work, risky poetry for for example , that is because art for me means the rules are unimportant. unconformism is essential to me ie writing as if grammar /syntax/ gender do not exist. however the stress is more on sound aesthetics and instinct. Last edited by cacian; 09-11-2013 at 12:15 PM. Hi Loks. 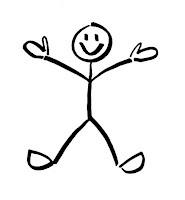 I really like your stick figure! The aggressive but yet subtle distortion of the figure is unsurpassed in your earlier figurative works. Obviously swiftly applied pencil strokes simultaneously defining the subject and dissolving it. As with previous works, the effect of pictorial immediacy belies the complex methods that went into the work’s production. While this appears to be a rapid, spontaneous rendering, examination shows that Lokesenna worked on it in stages and selected and exploited his materials to underscore his imagery. It speaks to people. (ok, I'm having a bit of fun-halfway through the week folks). I do love that Carvaggio and Rubens - those two are in their own dimension. So, in other words, we shouldn't aspire to anything because it is too much effort? Why bother trying to write complex and deeply personal art when you can just say 'ah, what the hell' and throw out your own mental garbage over your audience? Words vomited on to a page are not art. They are just words. And if you don't even bother with grammar/syntax/gender/spelling/punctuation, then they aren't even words - they're just noises, like animals make. An interesting analogy considering the great poet, essayist, polymath Su Shi said the exact opposite, that the art of poetry actually was vomiting the spontaneous feeling out onto the paper. The catch of the calligrapher's brush is in the action of the movement and strokes, not in the calculated laying out of the paper - feeling too meditated is often too restrained and over-considered. The idea of spontaneity versus time and effort is one that pervades Chinese literary discussion. Some poets decidedly mimicked the classical style of Du Fu, and tried to write by extreme study of classical authors, and thereby work within preset regulations and forms for the sake of perfecting their work. Other poets, Su Shi included, argued against such unnatural poetics, in favor of spontaneity and the essence of the feeling captured within the form of the time period. Such an argument in Chinese literature lasted quite well until the end of the classical period. What it basically shows is this. The calculated poets tended to be technically perfect, yet soulless, and the best of the spontaneous poets tended to, when their works worked, be excellent poets (Yuan Hongdao being the most famous later poet). Classicism is deeply tied into this idea, in that the romantic spirit of invention is always at odds with the idea that creation is an act of meditative study and synthesis rather than "the spontaneous overflow of emotions," however much mediated over afterward. It's not such a simple cut a paste idea. Su Shi's final conclusion on the topic, is the artist must have what he termed "bamboo in the breast" and with that sort of fusion, he must spontaneously create, using this inherent feeling and sensibility, which has been developed through reading and practice. Later he says that this bamboo, quite literally, must be vomited onto the page. I don't know what you are getting at with this response. Loka already properly addressed the subject of improvisation as an art in his post. hey, i'm new! i write poetry! !